Smash Bros. director's Twitter comments suggest a video trailer may be in the works. Last week's Nintendo Direct video had a huge wealth of information concerning upcoming Nintendo titles. One of the titles mentioned, but not shown, was the upcoming Smash Bros. game. Satoru Iwata, current president of Nintendo, asked us to wait until this year's E3 for more information. Fans asked which version of the game would be shown at E3, and game director Masahiro Sakurai has announced on his Twitter that both the 3DS and WiiU versions will be shown. A translation of Sakurai's Twitter tells us that the reason no media was shown for Smash Bros. last week was because he didn't feel they had anything good enough to show off, and by the time E3 rolls around they should have "something better" to show us. While Iwata said in the Nintendo Direct video that screenshots of the game would be shown, Sakurai's comments seem to suggest their may be a video trailer in the works. 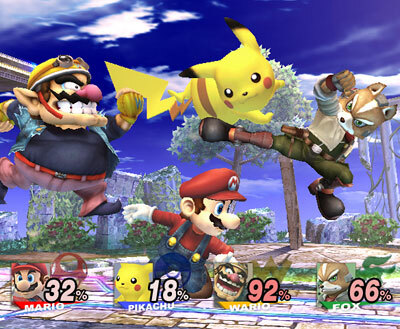 Little is known of the new Smash Bros. games, except that they should be released simultaneously across the two platforms, and have at least some degree of connectivity. Sakurai has said in the past that he wants the 3DS version to have a more individual and customizable experience, where players could create their own personal character and upload it for play in the WiiU version. While he has said that it is possible we will see Capcom and other third party characters in the new game, he recognized the need to narrow down their inclusion since introducing non-Nintendo characters "willy-nilly" would lose the focus of the game. At E3 2006, a surprise trailer for Smash Bros. Brawl was shown, blowing fans out of the water and generating a lot of hype for the game. The trailer was shortly followed by the launch of an official Smash Bros. Brawl Dojo website, which teased new information about the game on a weekly basis leading up to it's release. Could this year's E3 showing of the new Smash Bros. have a similar follow-up?